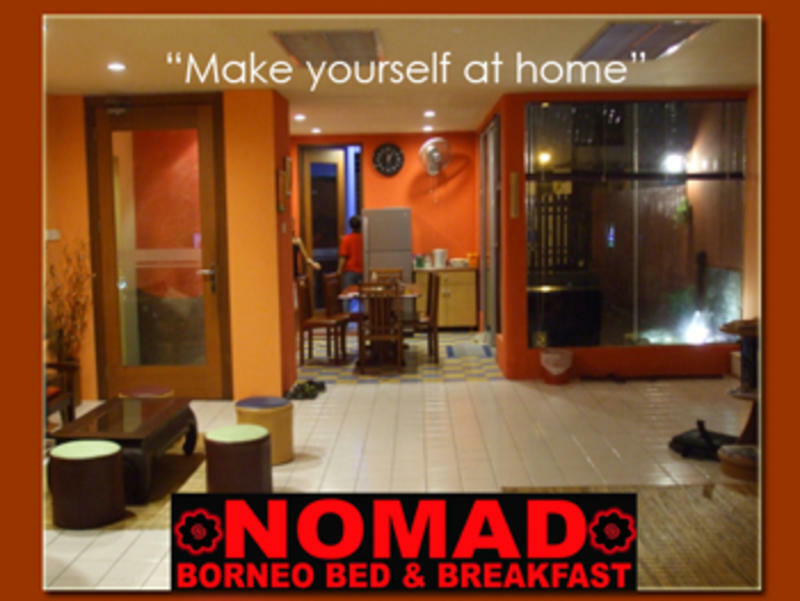 The Nomad is a B & B situated in the heart of Kuching City, At The Green hill Road area, easy excess to all fascinating tourist attraction and suitable place to make as a hub for traveling around Kuching and it\\\'s surrounding. As understanding the needs of travelers we concentrate mainly on making you feel at home and furthermore a clean and homely environment for the best experience of your travels and comfort. Run by young generation Ibans with travel knowledge and experience of local customs and travel information around Kuching and Borneo as a whole. If however you need advice and assistance we are glad to help out. Located near the Kuching Waterfront area,at the Greenhill Road,neighbourhood with Wayang Street and Temple Street.Near the colourful Medan Pelita/Star Cineplex.